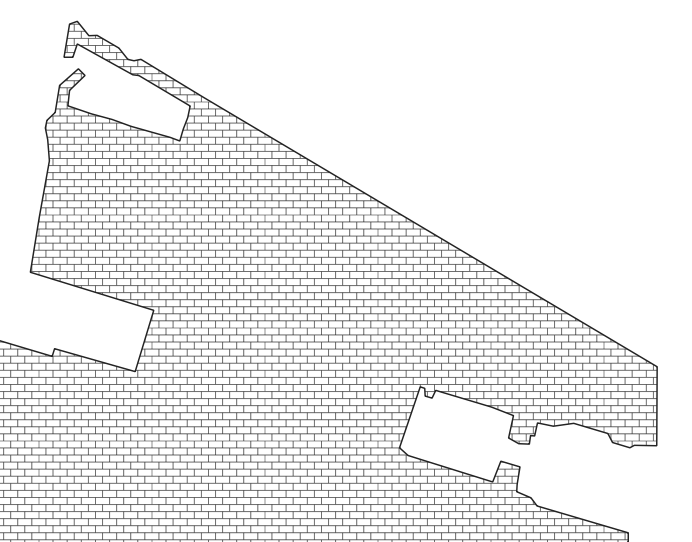 I am trying to create a brick wall style for a vector polygon in QGIS 2 and 3. 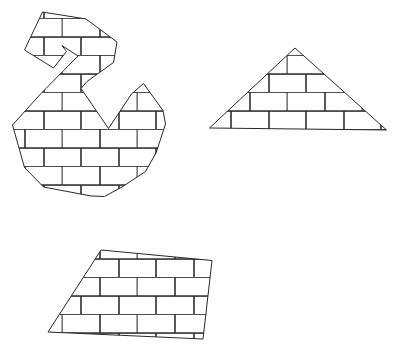 I can render a svg drawing of a brick wall with SVG fill (image below). But I do not want to use SVG since the style is part of a free geological map, where the SVG file will complicate the distribution and rendering of the data for the public. 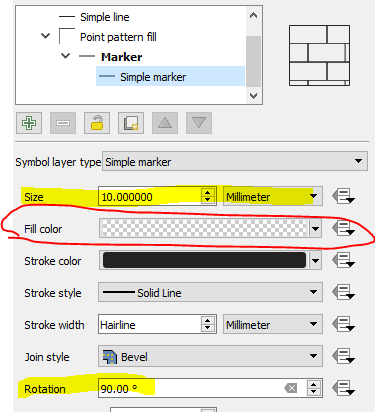 Saving the SVG through a default QML forces relative paths to the SVG file in the QML file and the SVG file must be in the QGIS system SVG folder. That does not need a external SVG file for rendering. Not the answer you're looking for? Browse other questions tagged qgis style qml or ask your own question. 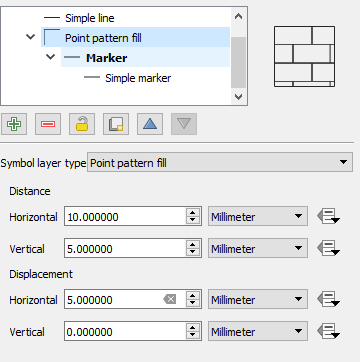 How to create a style file for QGIS from a plain text file?